At Construction Monthly, we pride ourselves on bringing you news, tips, tricks, events, and more industry specific ideas that will help improve your career and business within the building and construction industry! Becoming a contributor means you are part of a team of professionals who cover various topics including marketing, industry news, international markets and more. Our contributors submit articles, infographics, videos, podcasts, listings, etc., which are published on our website daily. We’re always open to new ideas. Exposure: You will have an audience composed of our national readers. Our audience is hands-on, so you will likely interact with them through the comments on your stories as well as on social media. Improved writing skills: Many of our editors have degrees in journalism with emphasis in magazine editing. Construction Monthly logo: Once you are officially a contributor, you are welcome to request the contributor logos. The logos can be used on marketing materials and your email signature — every email you send will reinforce your voice in the industry. All we ask is that you link the logo back to your author’s page on our website. A professional challenge: Our contributors are exceptional agents and brokers who enjoy the challenge of sharing their knowledge and voice with other agents. Use a simple Google search to check out what’s already been published on your topic, so that you can add to the conversation. Anyone with a passion for real estate are invited and encouraged. Articles should be of value to our readers however. Topics that matter to you, your clients, colleagues, competitors, vendors, industry leaders and policy-makers. A personal experience that taught you a lesson or two. A valuable insight no one else can offer. The pros and cons about an industry practice or policy, government action or anything else controversial. Educate your colleagues about a new process, practice or technology that helped grow your business. These ideas will get you started. 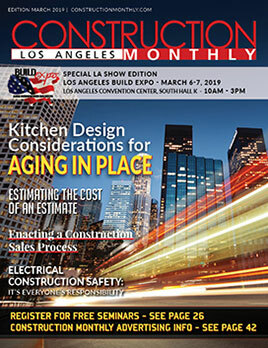 Email chris@buildexpousa.com if you have ideas for articles you would like to contribute. Articles should be 500-800 words (longer, if the subject merits it). Limit your introduction; get to the point. Offering advice? Provide three to five (but no more than 10) action items or takeaways. Anecdotes help provide color and make your article unique. Use Associated Press (AP) style. Strunk and White’s “The Elements of Style” also is an excellent resource for any writer. Most of our contributors write one or two articles a month. Write more frequently if you want to increase your visibility and build your personal brand. We appreciate original photography but do not accept any images. If you have an idea about how to illustrate your article, talk to us! Our editors will review it for content and determine where it fits with our upcoming editorial calendar. Often we will ask you to make some edits, such as elaborating on aspects of the piece we think readers will find interesting. When the article is ready for publication, you’ll be notified so that you’ll know when to visit and see your byline! Do you edit my article? All submissions reviewed by our editorial team for compliance with Associated Press style guidelines and publishing policies. We reserves the right to edit all article headlines and other content to ensure that contributed articles are read by as many of our community members as possible. Do you publish archival content? Submissions should be written or recorded specifically for publication. If you have previously published content,we would be happy to review it. All submissions become the property of Construction Monthly upon publication.